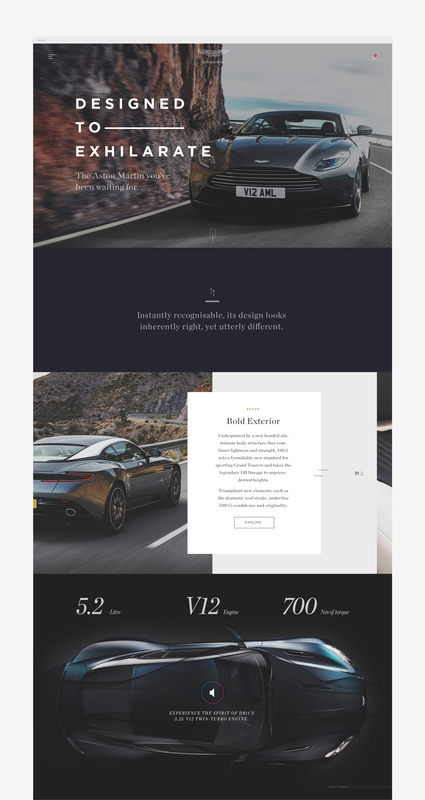 Landing page for the launch of the new Aston Martin DB11. 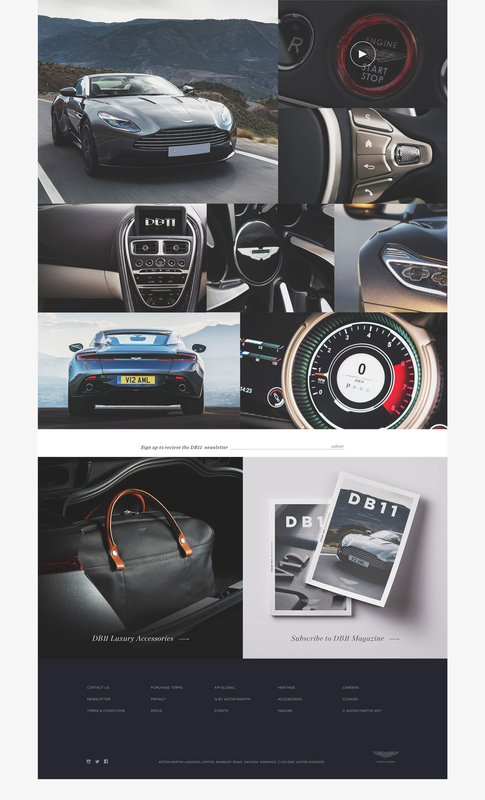 If you decide to purchase a DB11, you will be given your own Aston Martin website with content and experiences tailored to your specific vehicle. Each week you’ll receive updates on your vehicle with photos, videos and messages from the team as it moves from raw materials to road ready.